In Ponza you will notice a relevant number of “Forni” or Bakery shops, specializing in “pizza al taglio” (take-away pizza). Pizza al taglio – meaning pizza by the slice – differs from round pizza sold in classic pizzerias simply because it is usually made on huge, rectangular trays and cut into squares or rectangular portions. From the top left picture and clockwise: 1. All kinds of fried finger food – mozzarella, chicken, shrimp, olives (olive ascolane), potato croquettes, rice and tomato croquettes (supplì); 2. zucchini pizza; 3. pizza bianca (or white pizza which is just plain pizza dough); and 4. pizza Margherita (pizza with tomatoes and mozzarella). 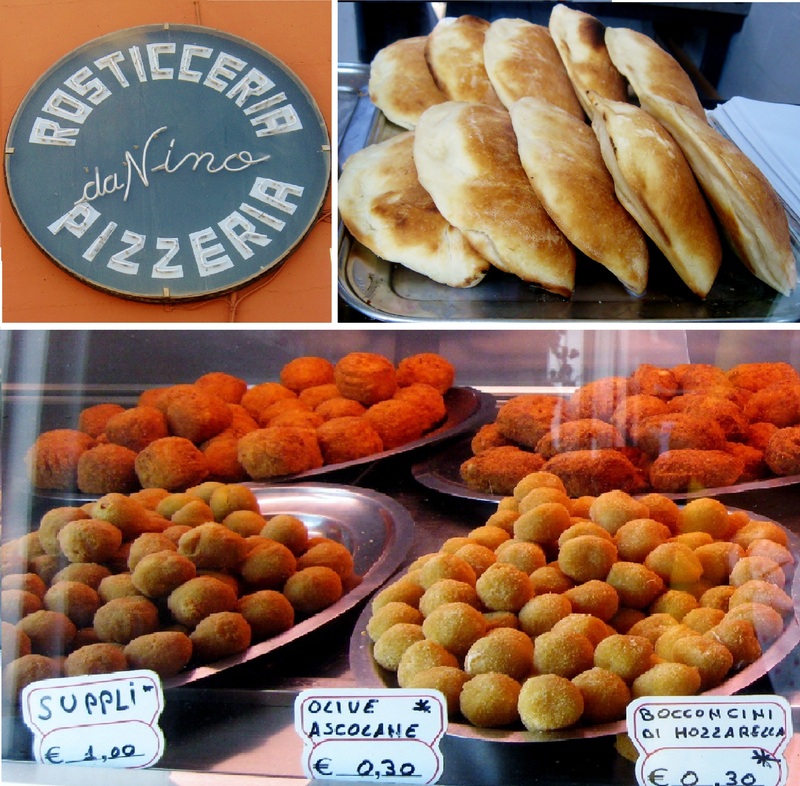 My husband without hesitation took me to “Pizzeria da Nino” where you buy take-out pizza and fried finger food. The place was packed so we had to wait in line before getting to the counter and order our pizza. When looking for a good pizzeria in Italy, a good rule of thumb – in my opinion – is to observe if a spot has a stripped down look, crowded, and frequented by locals. Before going out on their boats, people in Ponza stop by Pizzeria da Nino for buying pizza to take it for lunch. They also buy fresh fruit and drinks (mostly white wine and water). As we finally arrived to the counter and were about to place our order, the pizzaiuolo was just taking some calzoni out of the oven!! These beautiful calzoni (top – right), which were made of eggplants, fresh mozzarella, and tomato, had a unique fragrant, soft dough. We were very lucky to get these freshly baked calzoni!! 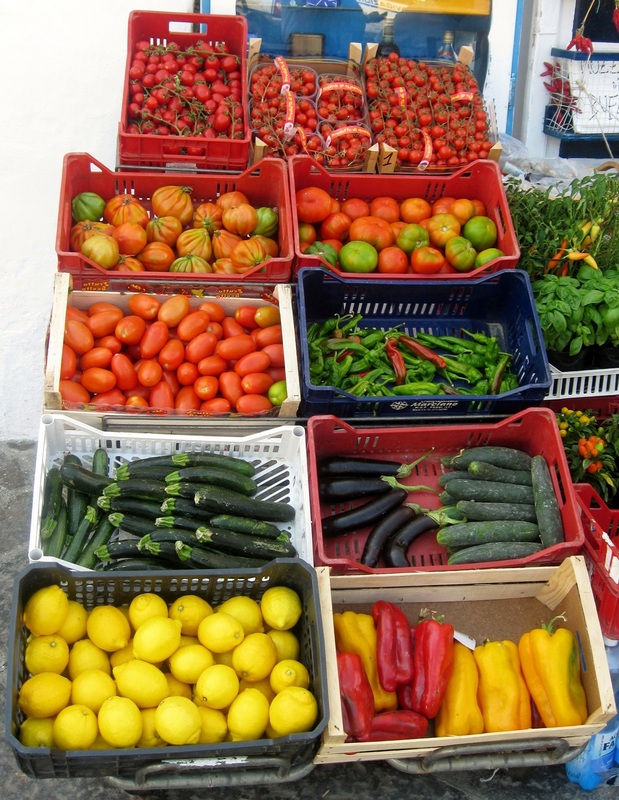 As you walk down the main street of Ponza, you notice a series of vendors with colourful fruit and vegetables stands along the sidewalks. What really struck me was not only the beauty of the fruit but the taste of it! 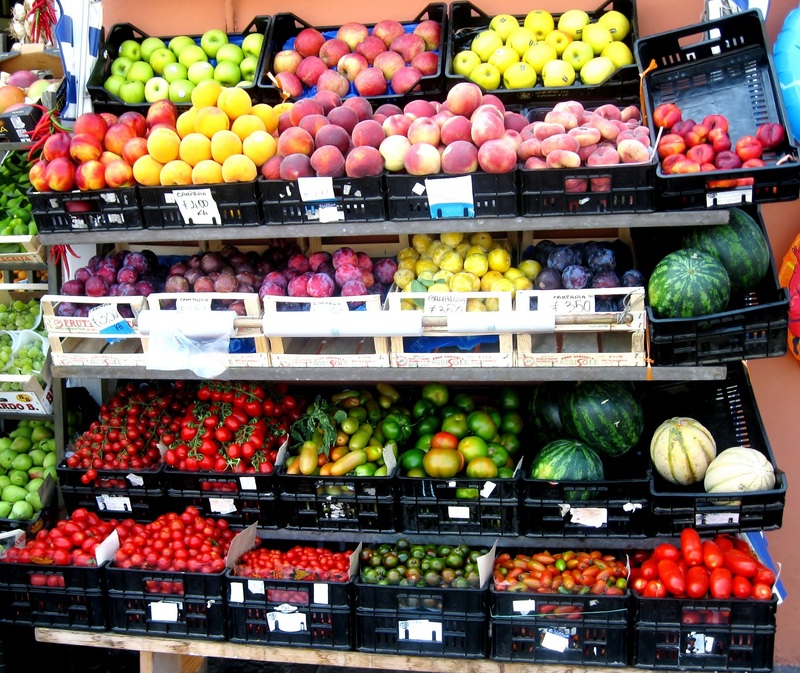 In fact, Ponza’s fruit parlours are famous for the quality of their fruit, mostly coming from the Campania region countryside. Italy is worldwide known for the vast variety – and delicious, sweet taste – of its tomatoes. 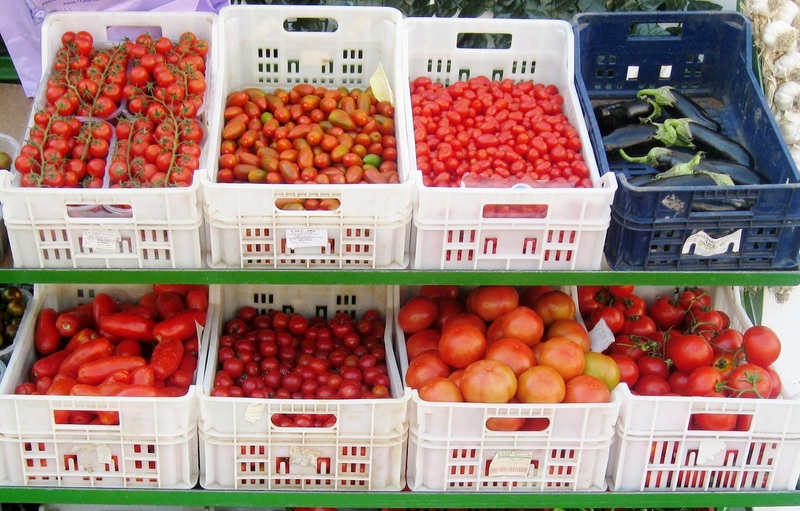 In the picture below, from the top line – left to right: piccadilly tomatoes, pomodori pachino (cherry tomatoes); second line – left to right: pomodori cuore di bue (ox heart tomatoes), pomodori da insalata (salad tomatoes or heirloom tomatoes); third line – left to right: plum tomatoes. More tomatoes: top line from left to right: cherry tomatoes; san marzano tomatoes, pear tomatoes. Second line from left to right: plum tomatoes, cherry tomatoes, heirloom tomatoes, pomodori a grappolo (cluster tomatoes). 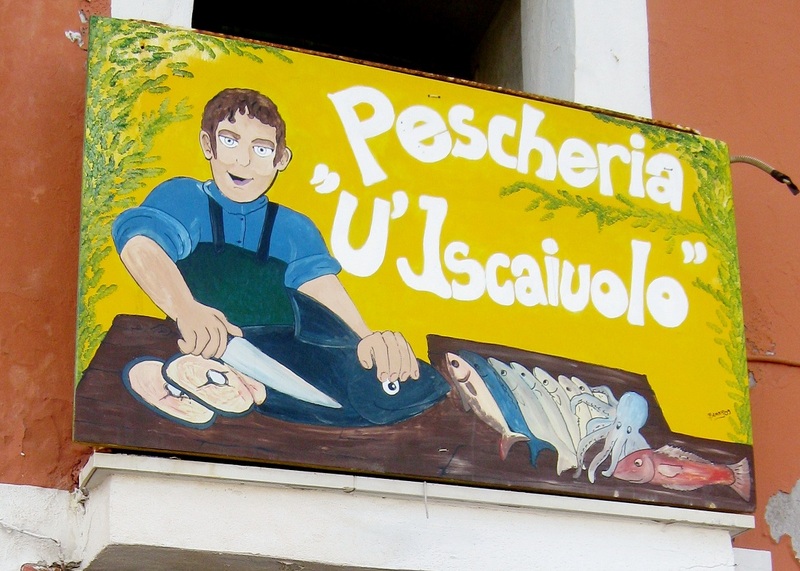 Like most Mediterranean islands, there are plenty of fish shops in Ponza. “Iscaiuolo” means a person from Ischia, an island within the Province of Naples. 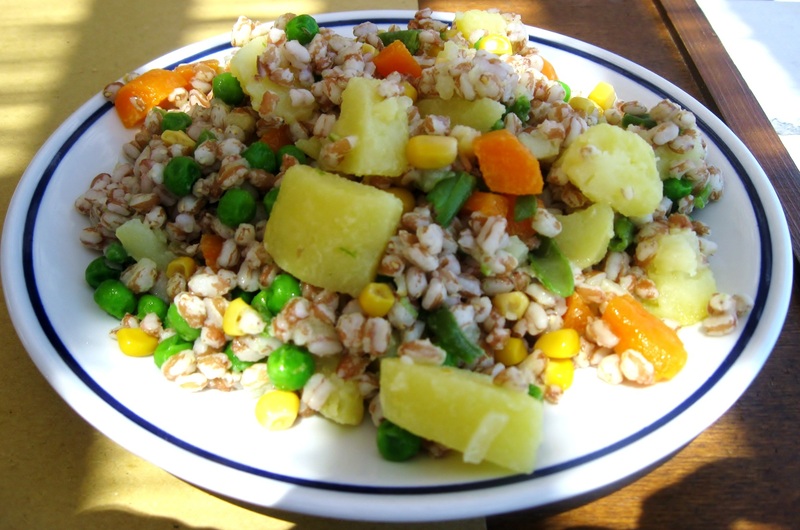 In the picture below, barley salad with vegetables, a widely prepared summer dish in Italy eaten at room temperature. 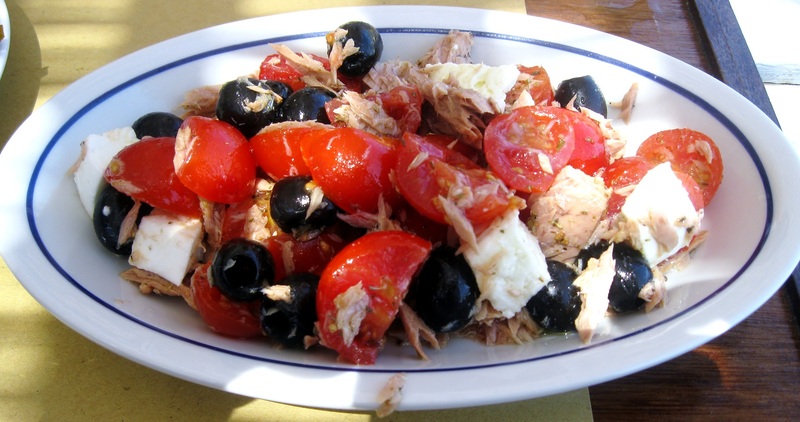 Another popular salad is “insalata di tonno” (tuna salad). This one has fresh buffalo mozzarella, cherry tomatoes, and black olives. 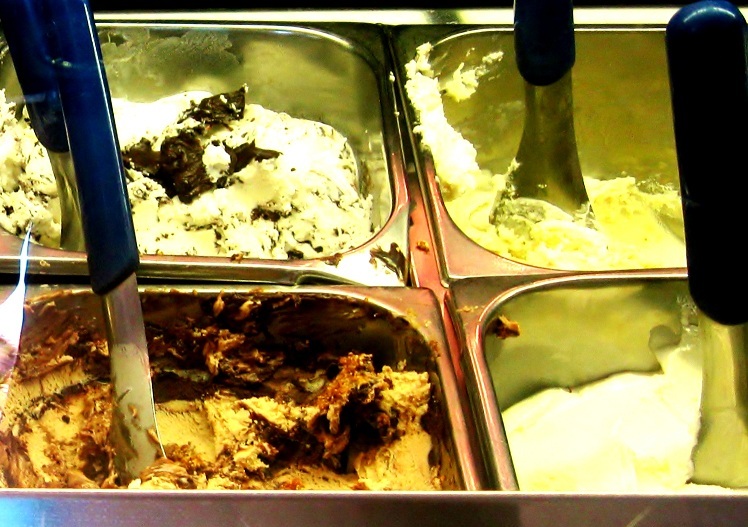 Honestly speaking, what’s better on a hot summer day than gelato? Top left picture – from the top left and clockwise: lemon gelato, pistacchio gelato, cherry gelato, and strawberry gelato. 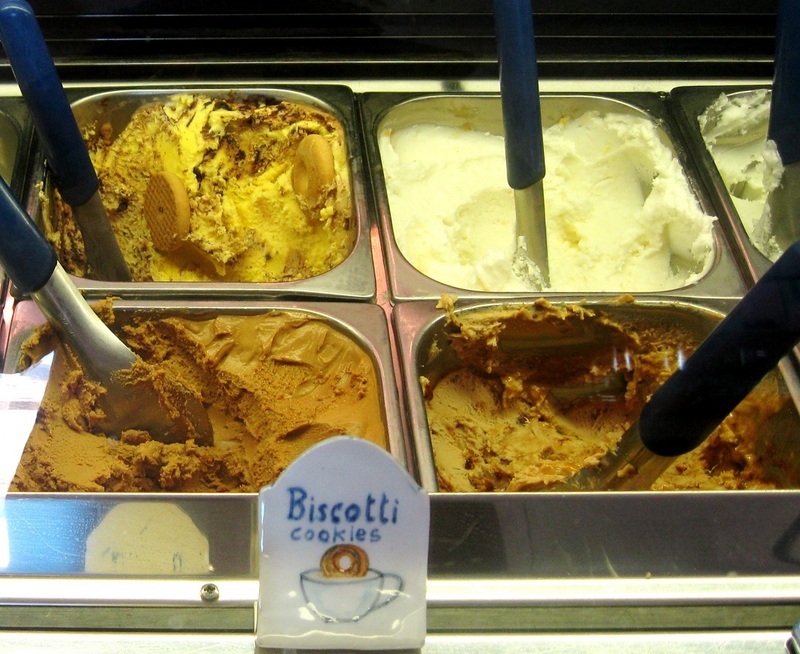 And more gelato: from top left and clockwise: cookie gelato, fior di latte (cream) gelato, toffee gelato, and coffee gelato. And if that wasn’t enough, left from top to bottom: Stracciatella (cream with chocolate pieces) gelato, and Nutella gelato! This is cruel – I want to eat all of this right now! The Suppli remind me of being a child on holiday when my uncle used to take us with him when my auntie sent him out to by the ready prepared food. He would always buy a few extra suppli which we would eat on the way home. Have forgotten my Italian now – what are the shops called that sell all the delicious cooked food? And nothing like horrible ready made food from the supermarket – all fresh and home made! Would the word “tavola calda” remind you of the delicious cooked food you are talking about? I actually had trouble reading this post, the pizza close up was distracting me. And all those veggies. I reread a few lines, but it was worth it. I want pizza pronto! You made me laugh!! Pizza Pizza! All this wonderful food on one small island! The pizzas and the finger food look so delicious and it’s good to see so many varieties of tomato for sale….and as for the ice creams, they’re the perfect way to finish a summer meal. That is true!! For such a small island, Ponza’s food offer is huge! Being famously bad international travellers, our one favourite trip was a slow leisurely holiday in Ischia, then by boat for a relax at the Santa Caterina in Amalfi, and finally on to Positano to max out our credit by staying, yet again, at Le Sirenuse. Your fantastic post has just let me relive some of that magic without once hitting an ATM. Thank you!! I am glad my post made you travel with your thoughts!! 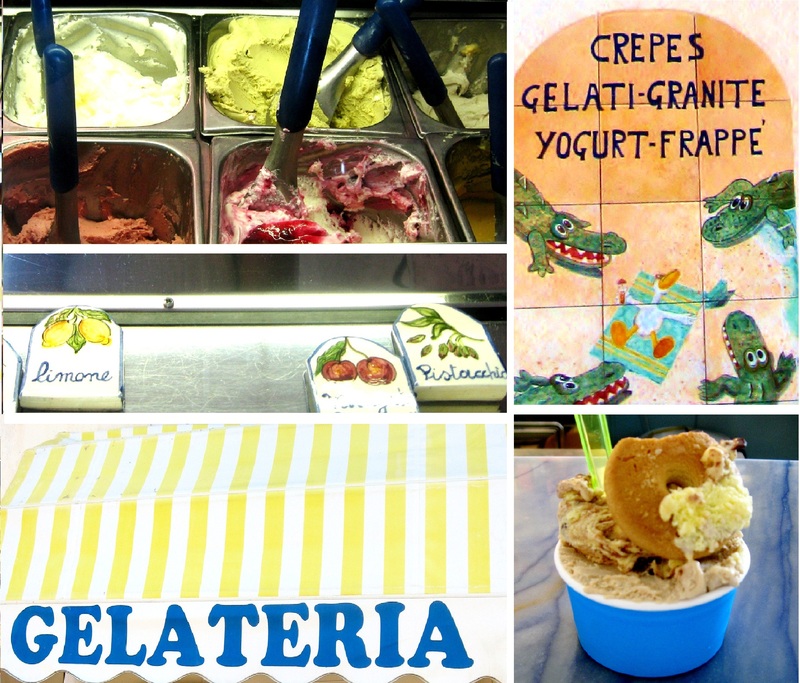 This is the Italy I love: the piazzi, the markets, pizza al taglio for lunch, and gelato for a snack along the way. And you are so right, some of the best meals I’ve had were at little, out of the way, trattorias frequented by the locals. I love these posts of yours. You are so right!! I am so glad you are appreciating my posts!! Thank you! wow! so this is really Italy! A fruit parlour! and just rows of so many types of veggies and tomatoes…from the pizza to the gelato! I’m speechless, make that wordless, over how amazing this all looks to me and so happy that you take the time to photo and share this! My mother would make the rectangle pizza when all the family would gather as cutting into squares was easier; one pizza had to be white for my one uncle, and the tuna salad is just how my mother use to make it! Thank you for all your nice comments!! I am pleased that all these tales bring you back happy memories!! We are all traveling to Ponza through your photos. Thank you. Here in New England they make a square pizza that everyone calls beach pizza. The slices are wrapped in paper to take with you…even if you are not headed to the beach. That is quite interesting. Probably someone form Ponza migrated to Maine and started up this beach pizza business down there!! jaja! All the wonderful produce and delicious gelato have definitely made me hungry lol. I love this post. was Googling about Ponza today , since it’s the Festa di San Silverio, and came across your blogpost…just what i was looking for..a great glimpse into the foods of Ponza..Grazie. 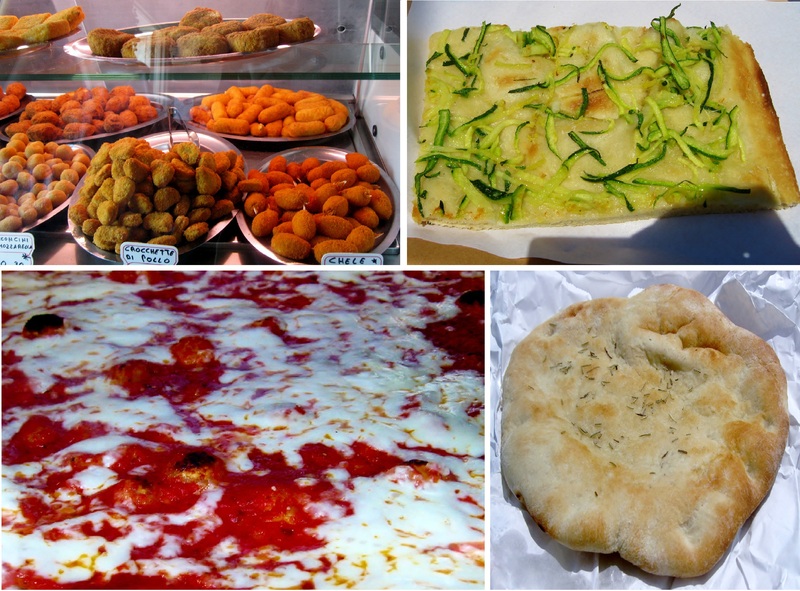 excellent glimpse into the foods of Ponza…i was surfing the net today looking for exactly what you wrote about since today is the Festa di San Silverio…grazie.